I recently ran across a blog that had me in tears…because I was laughing so hard I could barely breathe! 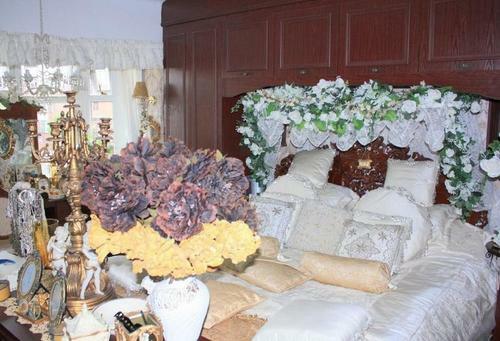 Read on for a sneak peek at some of the very worst real estate photos ever published…I’m quite positive. Terrible Real Estate Agent Photographs is a site that compiles exactly what its title says: the very worst in realty photos. Not only are the photos just completely unbelievable, but the captions added by the site’s owner are hilarious and add such character to the pics. I’ve chosen a few of my favorite photos to show you here, but you really need to click on over and browse through the site. Just don’t do it while drinking a beverage of any sort, since I’m fairly sure said beverage will come shooting out your nose at some point and that would be bad. I also want to point out to you WHY these photos are so, so very terrible (in case it’s not immediately obvious). What is most amazing to me is that someone actually thought these photos would sell the home depicted in them. Staging your home for sale is so important…it can mean the difference between selling your home and having it languish on the market for months or years. The photo above is a great example of the importance of staging your home before you list it for sale. This space is – or looks – HUGE! 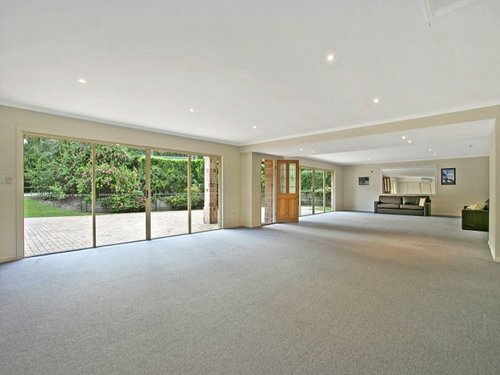 While large rooms typically are a great selling point for any home, a room that looks cavernous like this one does can be a problem for a potential buyer. Why? Because they have no concept of what they could or should do with all that space. Further, they cannot imagine how their furniture would fit in such a room. Leaving your home empty makes it very difficult for potential buyers to imagine themselves living there…and that will make it difficult to sell your home. A few well-placed pieces of furniture will do wonders for your selling potential. Now, this photo (above) illustrates the exact opposite of the first photo. 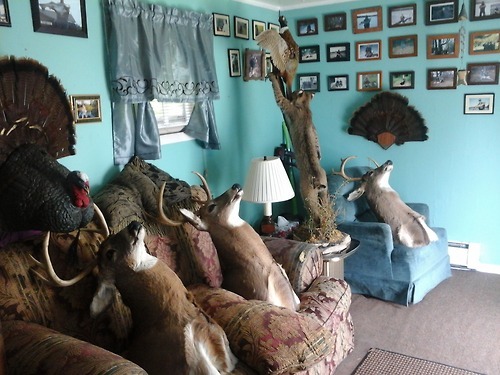 This room is far too full of furniture…and taxidermy. A potential buyer will not notice any details of the room itself because they are too busy looking at the stuff inside the room. The room looks bright, and perhaps has a lovely view, but all those dead animals will keep anyone from noticing those things. Aside from the room being too full of … er….stuff, the room is also far too personalized. While some people may love a room filled with dead creatures, some people would be turned off the second they enter this home and will not even give it a chance. A better idea is to remove things that could be a problem for a potential buyer; get rid of the personal photos and taxidermy, and you have a far better chance of selling your home. Before putting your home on the market, declutter. A LOT. Clean surfaces always look better. Always. And, whatever you do, don’t forget your yard and patio. 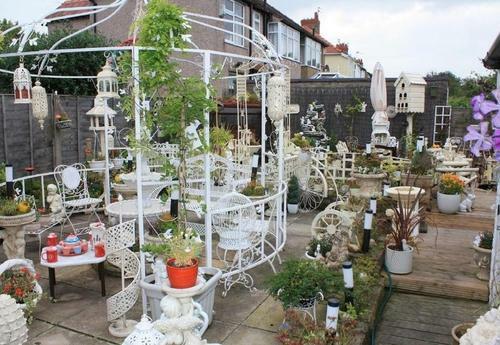 Often, these outdoor spaces are exactly what a buyer is looking for, but if they are neglected or cluttered, it’s hard to appreciate the spaces you have. Mow the grass, trim the bushes, weed the garden, put away everything that isn’t needed…highlight the positives in your outdoor spaces for maximum curb appeal.